Welcome to Manchester Academy Admissions. Manchester Academy, an independent school, does not discriminate on the basis of race, color, national, or ethnic origin in administration of its educational policies, admissions policies, scholarship and loan programs, and athletic and other school-administered programs. We are confident that students who attend Manchester Academy can benefit from the school’s commitment to academic excellence and strong extra-curricular programs. Families inquiring about attending Manchester Academy in grades 2K-12 please schedule a tour of the facilities and grounds. MA offers a warm and safe atmosphere for each child; a spiritual dimension throughout the developmental stages of each child; as well as matching the interests and talents of each child. 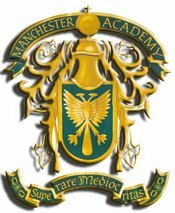 The administration and faculty are proud to say that Manchester Academy remains unsurpassed in academic excellence and welcomes every chance to demonstrate how we inspire and challenge students toward a successful future.